Home » Big Idea Tech Blog » Blog » Last Call to Upgrade to Windows 10 for Free! Should Your Business Upgrade Now? Has your business upgraded your computers to Windows 10? The last date to upgrade to Windows 10 for free is July 29, 2016, and it’s quickly approaching! You could continue to use your Windows 7 or Windows 8.1 until the end of extended support before you upgrade to Windows 10, but if you wait you will need to pay for the upgrade. If you have Windows 7, mainstream support has already ended; it ended January 13, 2015. Extended support ends on January 14, 2020. Mainstream support for Window 8.1 ends on October 13, 2020. Extended support ends on October 14, 2025. During extended support, you continue to receive security updates and you can pay for support. However, you no longer receive free support or non-security updates or changes to product features. If you upgrade later, it will cost $199 to purchase Windows 10 Pro (or $119 to purchase Windows 10 Home, and $99 to upgrade to Windows 10 Pro from Home) – per computer. Note that after October 2016, all new PCs will be sold with Windows 10. This newer version of Windows offers performance upgrades including faster boot-up time, faster operations, more economical use of memory and disk space, and improved power management. Applications being built going forward will be designed for Windows 10, so you will have compatibility issues using an old operating system in the future. Windows 10 has improved security. Automatic updates mean that the operating system on your computer will be updated for free for the life of your device – with two updates each year. Windows 10 allows an administrator to manage device encryption settings. BitLocker can be used to secure internal and external hard-drives. If you use Windows Hello with the appropriate hardware, you’ll be able to use biometric logins – unlocking your computer using facial recognition, iris scans or fingerprints. SmartScreen Filter identifies and displays warnings about reported phishing and malware websites as you browse the web. Windows Defender Advanced Protection deploys advanced detection to fight malicious software. Windows Information Protection enables businesses to easily separate personal and organization data on devices. The Windows 10 Anniversary Update, which will take place on August 2, 2016, will add new and even better security features. Windows 10 offers improved workspace management. Virtual Desktops allow you to create multiple workspaces on your PC and switch between them as if they were on different screens. Snap Assist helps you to arrange windows on your desktop so that they take up one half or one quarter (in the four corners) of the screen. The taskbar can be set to appear on your primary monitor and whatever monitor you’re currently active on, or on multiple monitors. File Explorer has improvements such as arranging the top menu in a ribbon and including a Share ribbon, and it brings back the Up button (making it easier to go back to a higher level file). When copying/moving files to another folder, transfer speed is shown in real time. The new OS has a Windows 7 style desktop with an improved start menu (similar to the one in Windows 7) that adds optional live tiles (which are the only option in Windows 8.1). It adds a search function, in the start menu, to look up matching programs and documents as you type. You can configure it to search things such as the latest headlines and weather. Cortana intelligent assistant will allow you to control elements of your PC using your voice, including web searches and making calendar appointments. Monitoring your email, calendar and search through a Microsoft account, Cortana can tell you useful information such as when you need to leave for your next appointment. Windows 10 offers easy access to Microsoft’s OneDrive cloud storage service and the online Windows Store for downloading apps. New universal apps allow you to purchase something once and use it on multiple devices. In the Windows 10 Anniversary Update, using a device with a touch screen will enable you to use Windows Ink to “write” on the screen, using a stylus, to mark-up documents and webpages in the new Edge browser. Continuum (which allows you to use a phone or tablet like a PC) senses what device you’re using (with or without a keyboard and mouse) and adjusts the interface accordingly. The main reason not to upgrade is if the software you are running does not support Windows 10. Extended support for Windows 7 has not yet expired, and both mainstream and extended support for Windows 8.1 have not expired, so you are able to keep using them. You would not benefit from some of the features of Windows 10, if you did upgrade, because you don’t have the necessary hardware. If you only use one desktop PC – instead of using multiple devices, related apps and cloud-based services such as Office 365 – you won’t benefit from the Microsoft ecosystem. If you don’t have a microphone, camera, or touchscreen you won’t benefit from Cortana, Windows Hello or Ink. If you sign in with a local account as opposed to singing in with a Microsoft account, you won’t have access to related apps. Big Idea Technology recommends upgrading to Windows 10. 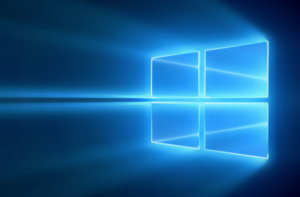 The benefits of upgrading to Windows 10 far outweigh the reasons for not upgrading. Call us for advice regarding upgrading your business to Windows 10.